Hebrew Educational Alliance’s softball team is once again crowned champion of Denver’s synagogue softball league. Here, the winning team poses with their trophy after beating Rodef Shalom in the finals on August 3. The winning team line up was: Max Holz, Seth Davis, Brad Stutland, Ben Saitz, Marshall Aster, Todd Schayes, Eli Goldstein, Jeff Aronheim, Brad Pepper, Adam Knaster, Brandon Knaster, Loren Knaster and Kevin Forman (the latter is not pictured). Read also the IJN editorial about the softball league. 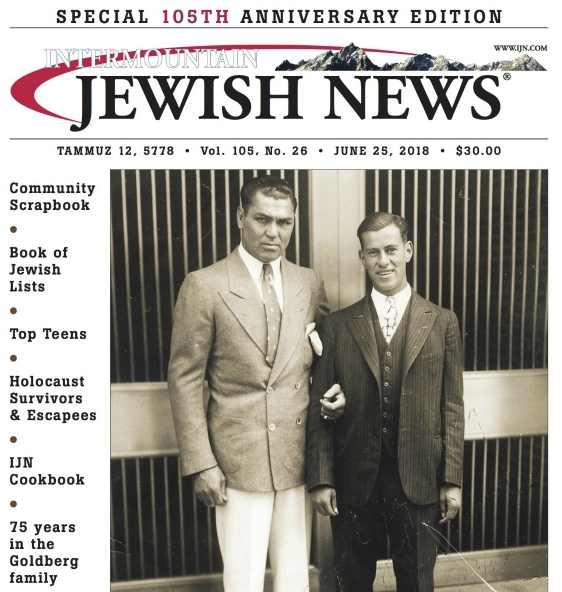 Previous PostChild labor violations alleged in Postville; Orthodox rabbis visit, defend plant Next PostSolzhenitsyn mourned: was the anti-Stalinist anti-Semitic?